The second edition of Carbon Paper festival around the printed matter and small-scale editions will take place in Charleroi (BE) on 24 & 25 of February. During this weekend over the 50 artists, printmakers and publishers are coming over to the BPS22 - Art Museum of the Province of Hainaut (BE) to showcase their artworks in a wide range of disciplines, including etchings, screen printing, bookbinding, risograph printing, etc.. The visitors can participate in various workshops (the program will be online very soon), buy some prints or visit a party on Saturday evening. Check out the list of participants. 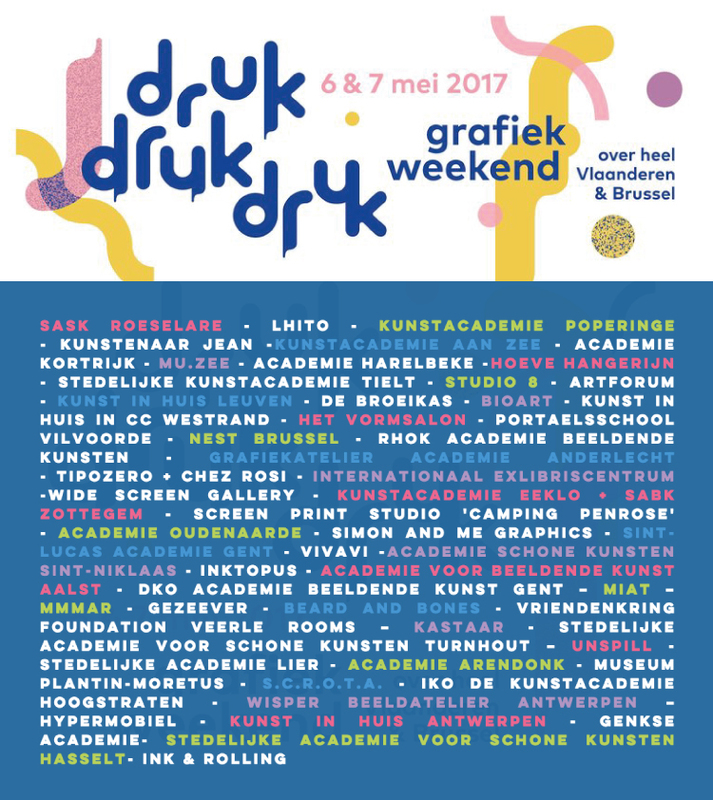 In one of my previous posts I've mentioned Drukdrukdruk graphic arts festival organised by KUNSTWERKT during the weekend of 6 & 7th of May. During this weekend more than 50 printmaking artists/studio's, museums and art schools in Flanders and Brussels will be reflecting the full spectrum of graphic techniques including screen printing, lino, litho, etching, monotype, letterpress printing and will be offering an activity, such as demonstration, guided tour, workshop, etc.